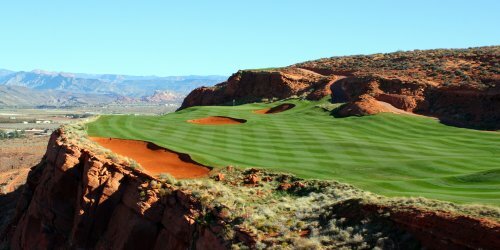 Sand Hollow Resort offers Stay and Play packages. The package includes 18 holes of golf on the Award-winning Championship Golf Course and 9 holes of golf on the Links Course. It also includes a night stay in the vacation Villas at Sand Hollow Resort. Inquire for best tee times and lodging options. Sand Hollow Golf Course reserves the right to change price and offer at anytime. Prices and offer are subject to change without notice. GolfMesquite.com is not responsible for errors posted in this golf package.